Rachael Hutchings is a freelance food writer and author of the blog La Fuji Mama, which focuses on bringing world flavors to the family dinner table. Rachael has eaten her way around the world, having lived in a variety of locations, including Paris, Tokyo, Memphis, and Los Angeles. She is a self-proclaimed Japanese cuisine advocate who loves introducing people to such things as the wonders of homemade tofu, the importance of sustainable seafood, and the secrets behind making professional-looking gyoza. You can follow her on Facebook, Pinterest, Instagram, and Twitter. 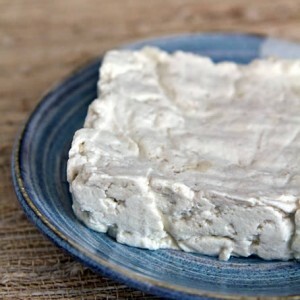 Making tofu is just like making a simple cheese, such as paneer. 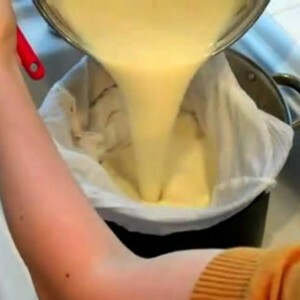 You heat soy milk, then add a coagulant to separate the milk into curds and whey.